Tired of mundane Christian living? In this insightful book, Author, Becky Farina Cain illustrates the keys to open the doors to a vibrant walk with the Lord of Lords. It provides practical steps to "being rooted in Him or knit to Him, just as His Anointing has taught you to do (1 John 2:27 AMP)." Her teaching reveals how to allow the Anointing to: Flow to us to touch us Flow in us to change us Flow through us to touch and change our world And much, much more This book will transform your life for the better, bringing you into a more intimate relationship with God. 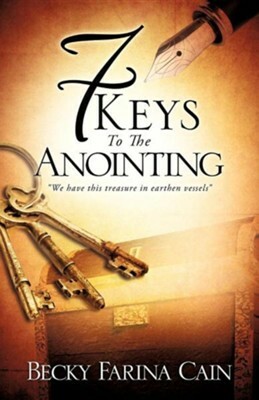 I'm the author/artist and I want to review 7 Keys to the Anointing.